Posted on 28. Jun, 2013 by Mike Fieldhammer. The summer version of the Derby City Classic is happening right now in Tunica, Mississippi. 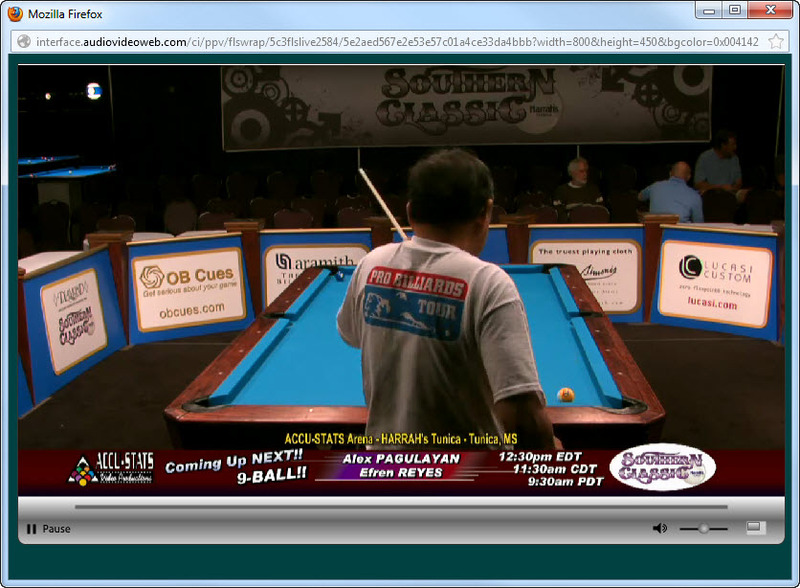 The Southern Classic is being streamed by the excellent folks at Accu-Stats. 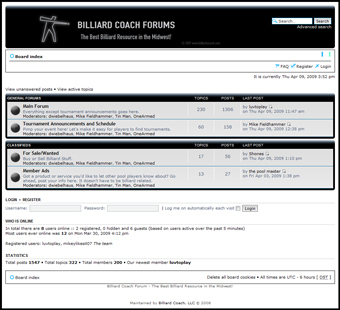 The 9-ball is wrapping up in the next couple of days. 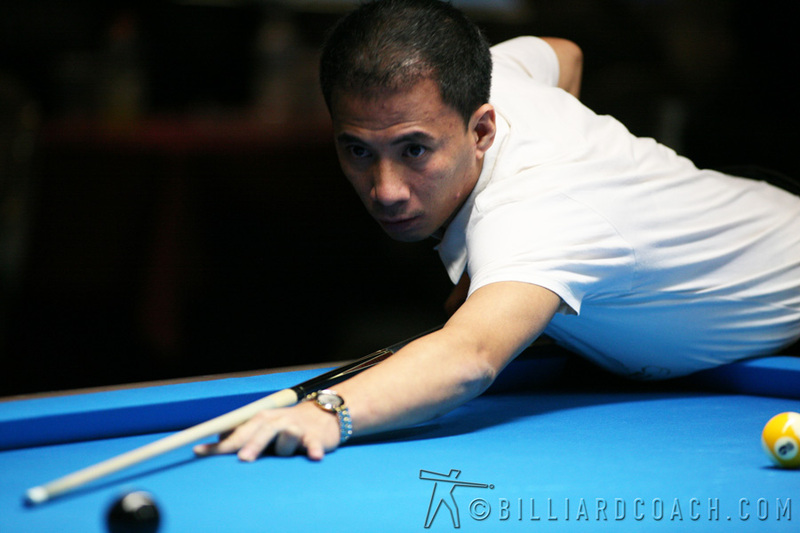 Winners of the first two divisions were Alex Pagulayan winning the banks and Justin Bergman winning the one-pocket. 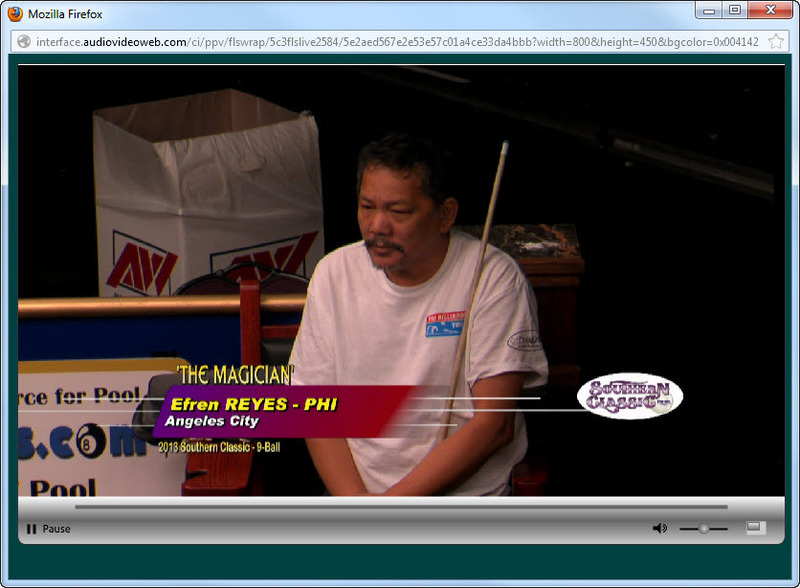 My favorite shirt appearing on the stream is the classic worn by Efren Reyes. Posted on 30. Jan, 2011 by Mike Fieldhammer. Go to see a professional event in person. If you can, compete in it too. I think the first professional event I ever played in was the 2000 US Open 9-Ball Championships. 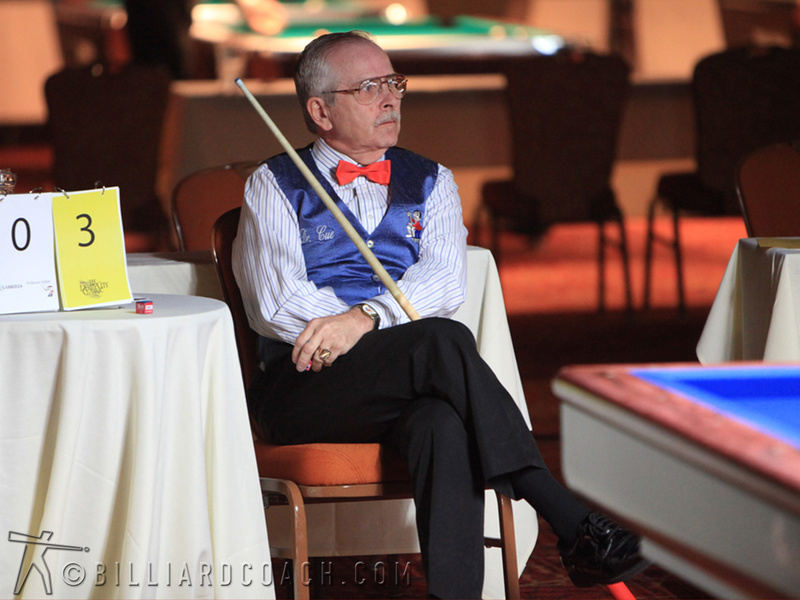 Barry Behrman’s annual event is one of the holy grails of the pro circuit. 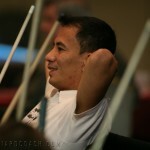 That event was memorable for me because I played the great Ralf Souquet. 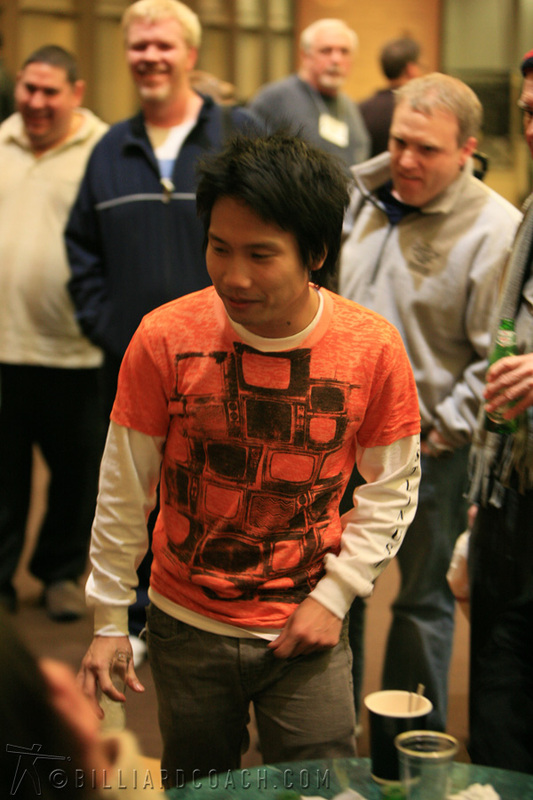 I was even ahead 2-1 before I folded up like the cheap suit I was wearing. Final score was 11-2. 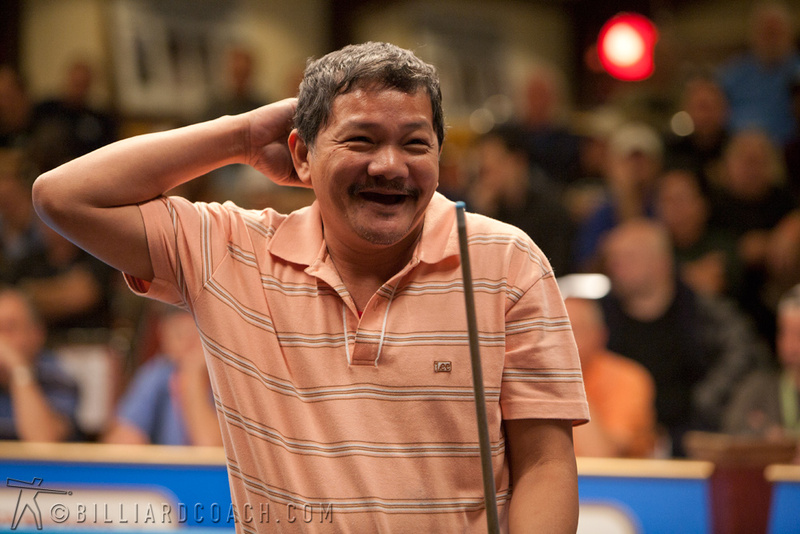 It was early in the event and there weren’t many other big names playing in that round. Souquet and I weren’t on the TV table, but we were on table 2 which offered a decent amount of bleacher seating. It was a corner table with plenty of spectators flanking our battleground on two sides. 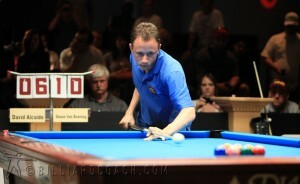 I had never played against a world class player in such a high profile event in front of such a large crowd. The lessons I learned during that match and from watching the rest of the event were priceless. Playing and watching pro events put smaller weekly or regional events in perspective. Getting used to tournament pressure is about becoming comfortable and confident in your game when it really matters. 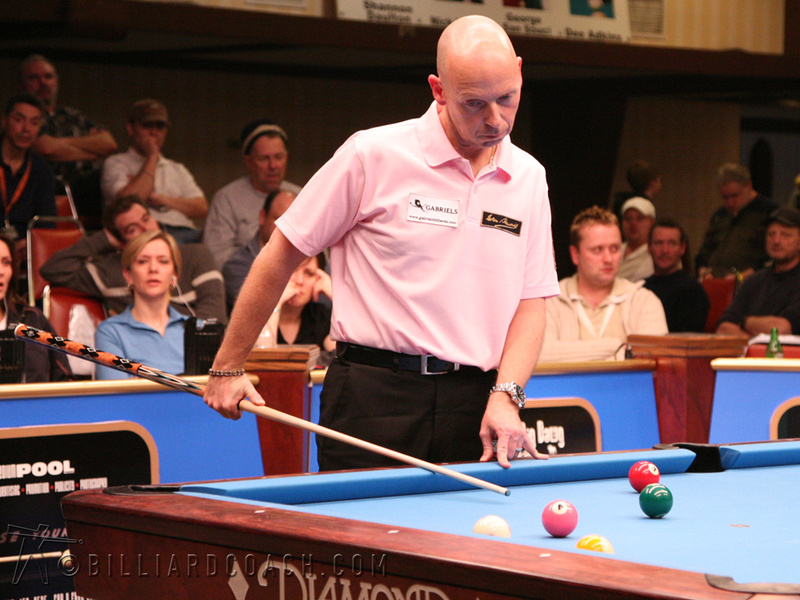 Butting heads with the best in the world can make a player not feel so overwhelmed in a smaller venue for smaller stakes against a regular player. The entertainment and education one can get at an event like The Derby City Classic can be valuable. This year, I missed the 2011 DCC and am sick about it. It’s the first one I’ve missed in many years. 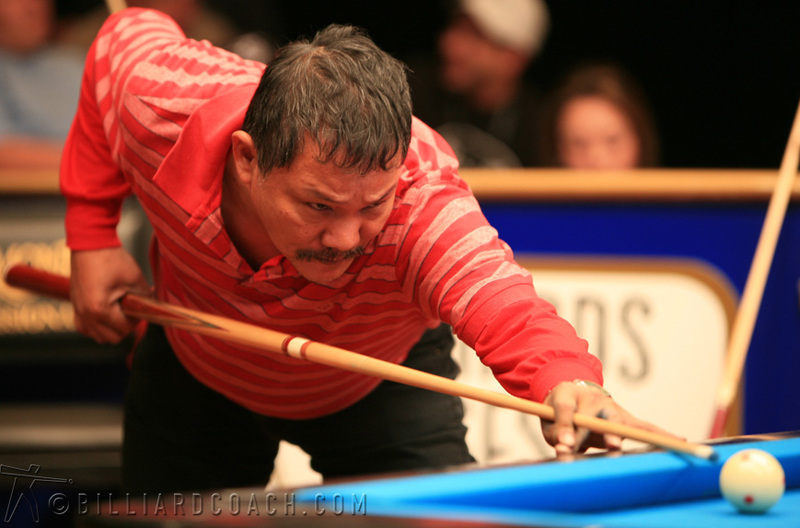 I would have loved to see Alex Pagulayan win the Banks, Dennis Orcollo win the 9-Ball, and Shane Van Boening win the One-Pocket and All-Around title. I’ve told many friends and students that seeing this event in person is completely different than watching the Accu-Stats DVD’s and streams by TAR and Accu-Stats. They only capture a fraction of the pool played. Looking back, some of my favorite matches were not on the TV table. Matlock vs. Reyes, Deuel vs. Daulton, Reyes vs. Putnum, and Parica vs. 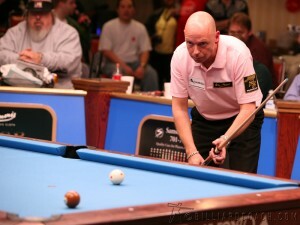 Frost were all amazing 1-Pocket matches that weren’t caught by any cameras. Seeing these types of clashes in person, I can hardly explain the stratospheric heights the execution and drama reach. Please do yourself a favor, get to a pro event and play if you can. 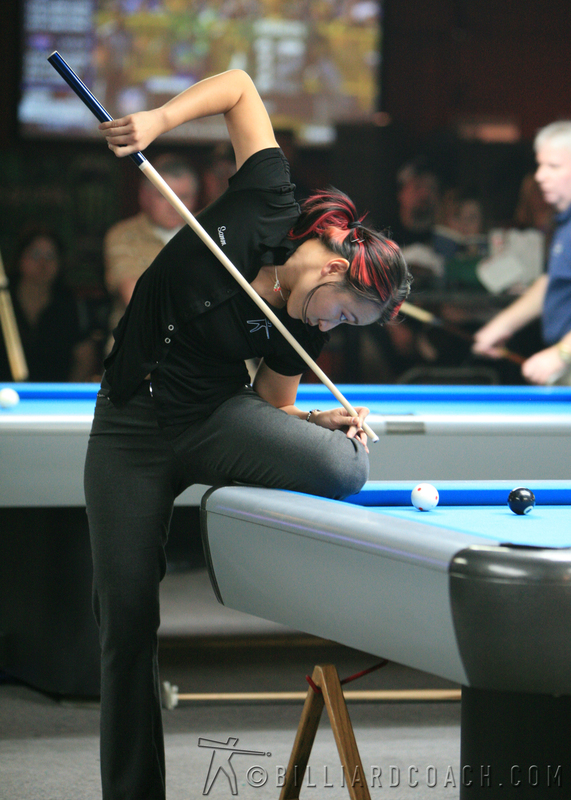 Note: In the ’90’s, I attended many of the of the WPBA, Camel Pro Billiards Tour, MPBA, PBT and PCA events around the Midwest to watch the pros play. The first really high profile event I went to was the WPA 9-Ball World Championships in Arlington Heights, IL in 1997 where Johnny Archer and Allison Fisher won. Posted on 26. 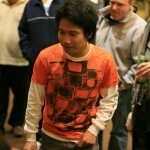 Jun, 2010 by Mike Fieldhammer. A recent comment from Michael Hughes of Indianapolis reminded me of the great game of bank pool and Michael’s powerful banking game. I spent some time with him in 2008 during the Derby City Classic and found him to be down to earth and inspiring. 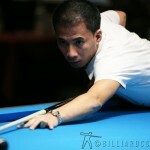 He has a lifelong love of pool and has a particular interest in banks. 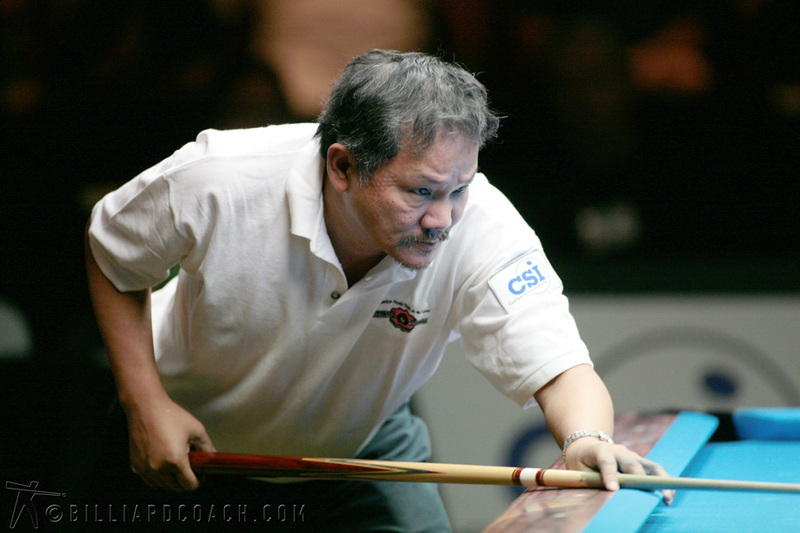 It isn’t a game that many great pool players can dominate. Many of the best banks players are “Specialists” and although great at most games, are a clear cut above the rest in bank pool. 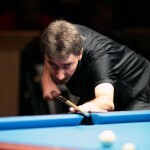 Some have mean games of one-pocket, others do well in rotation games, but it seems like the bank players mostly play banks. 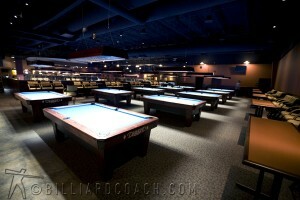 Walk into Red Shoe’s Billiards in Chicago and there will be a raft of killer bank pool cast-a-ways to play. If bank pool sounds easy to you, I suggest you give it a whirl. 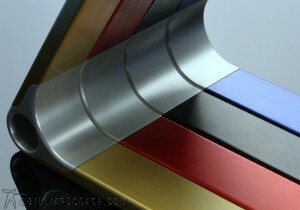 You may find it surprisingly tricky. Here’s a snippet from the full article on the 2008 Derby City Classic that highlights Mr. Hughes and the bank pool event. 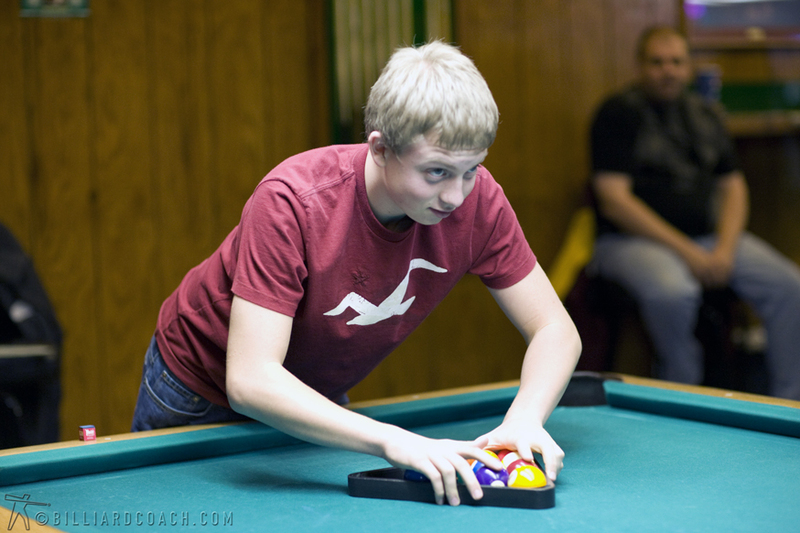 Short rack bank pool requires only nine balls per game−as opposed to the old style fifteen ball version. 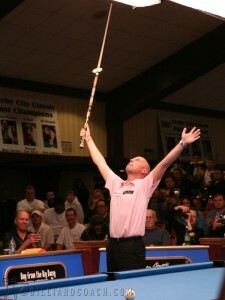 Each ball is in play and the winner is the first to successfully bank in five balls. 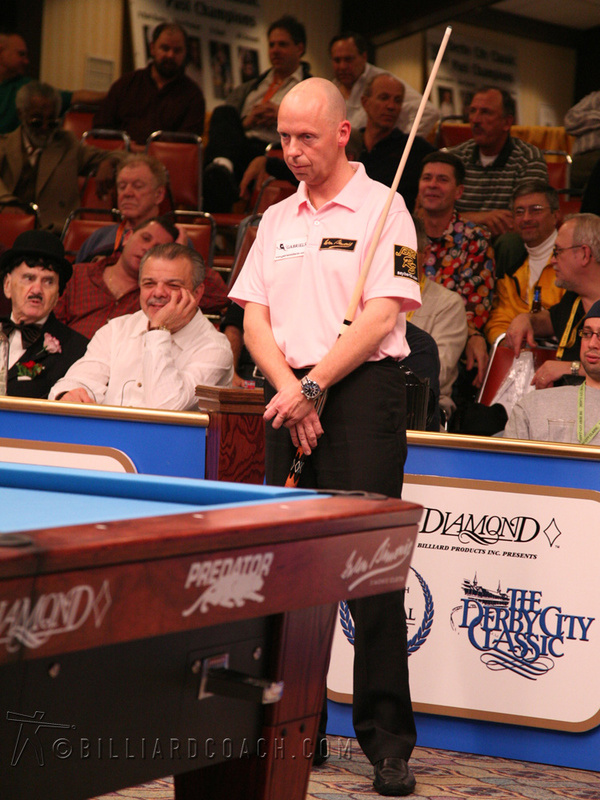 Bank shots can be challenging under the best of circumstances, but the task is made even more difficult by the 4-1/2 inch pockets on the Diamond nine-foot pool tables at Derby. Early in the tournament, players struggled with seemingly simple banks trying to find the center of the small pockets. 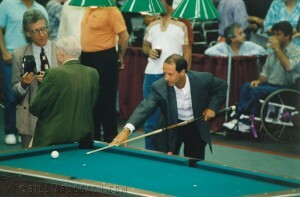 Fans savored the flashy banks of the top players in this discipline while they could. 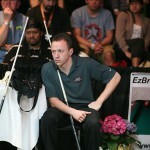 Cueists of high caliber can finish a bank pool match in the blink of an eye. Jason Kirkwood finished a player off in seven minutes flat. That calculates to better than two successful bank shots a minute. A crucial skill needed to succeed in bank pool is knowledge of rail rebound angle in relation to ball speed. Bankers full of adrenaline in their first match frequently missed banks short. Too much velocity causes the rail rubber to snap the object ball back at too steep of an angle. At Derby another puzzle is coping with the unpredictability of cloth: the tables are freshly covered with slippery the brand new Simonis tournament blue. Players were not given much time to adapt with a race to three: the better banker didn’t necessarily prevail. 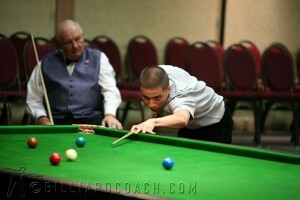 Victory was snatched from the shooter who could not adjust to the table conditions quickly. Hughes is a player who loves bank pool. 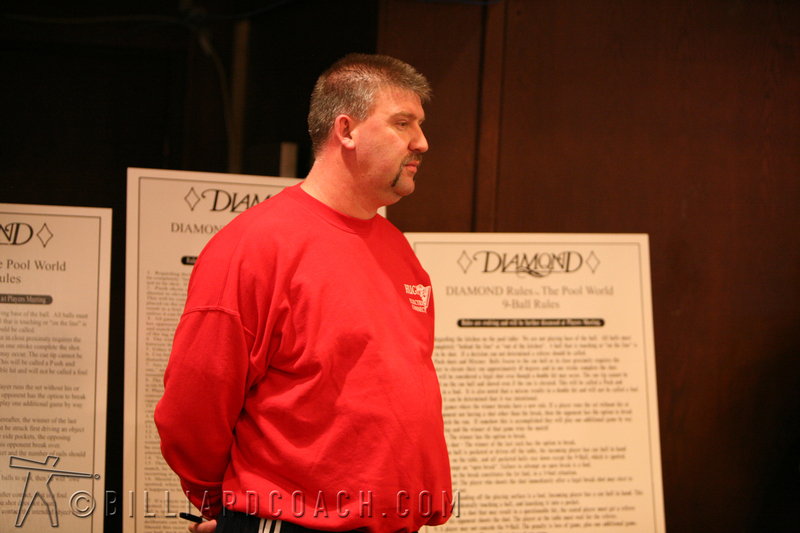 He developed his passion for the game at a young age, dropping out of high school to clean ash trays and brush tables in Indiana. 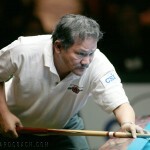 Years went by working and playing pool. 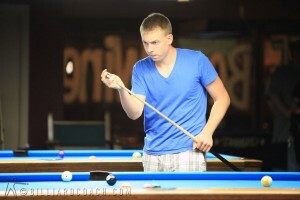 Nothing but pool mattered and his fascination with the beauty of banks mesmerized him. Eventually, reaching the ripe age of 21, he became disenchanted with the pool hall lifestyle. He made a life changing decision to go back to school and treat pool as only a hobby. Now pool comes after his wife and his electrician business. 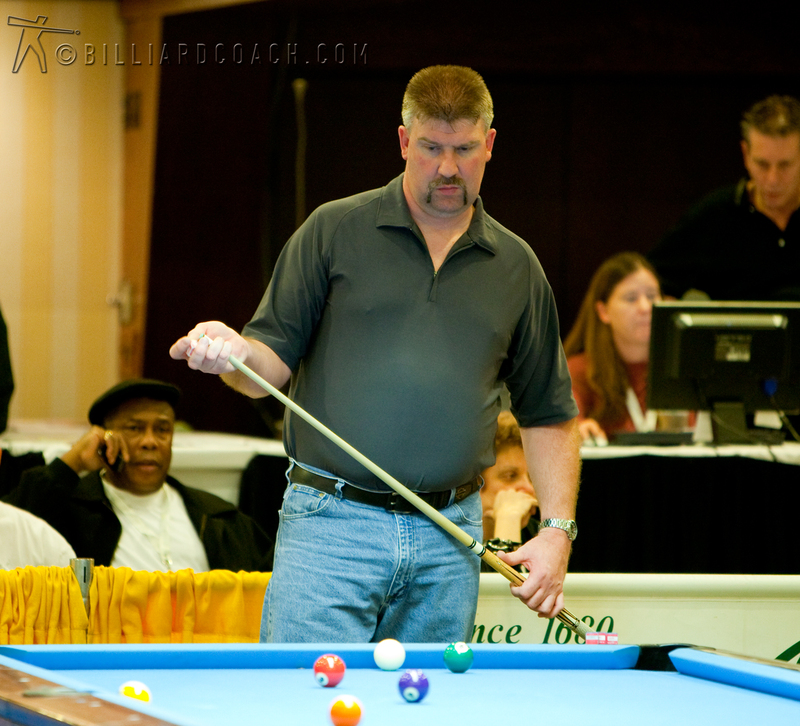 Hughes new approach to his old pool passion, tournament vacation play, has actually provided him a new level of intensity. He warmed up for matches with vigor inducing sweat. “I’m like a boxer warming up for a fight,” said Hughes. He makes an effort to eat right and sleep enough hoping to perform well in the bank division. The early elimination Hughes delivered to Miller was not the only surprise during the middle stretch of bank play. 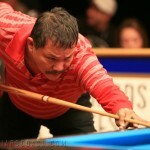 Atlanta’s past banks champion Moore ran into red-hot 22-year-old Sylver Ochoa in the fifth round. 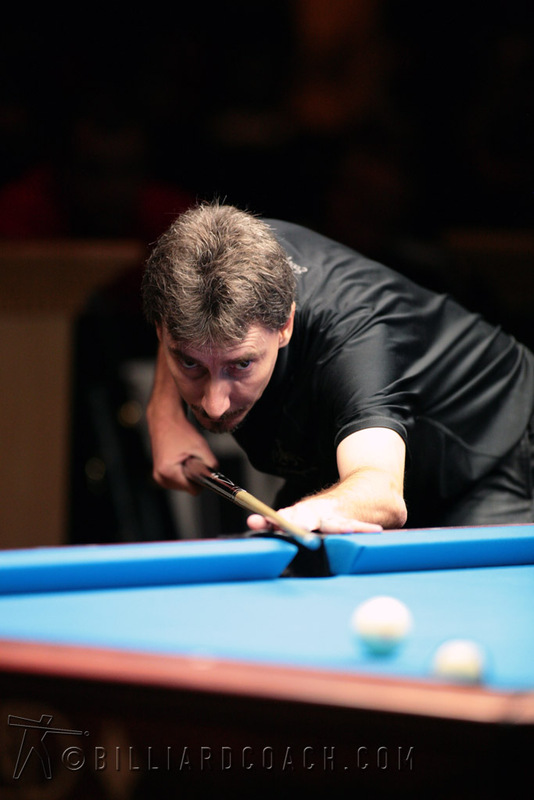 “I only missed one bank,” said Moore of his match with Ochoa. 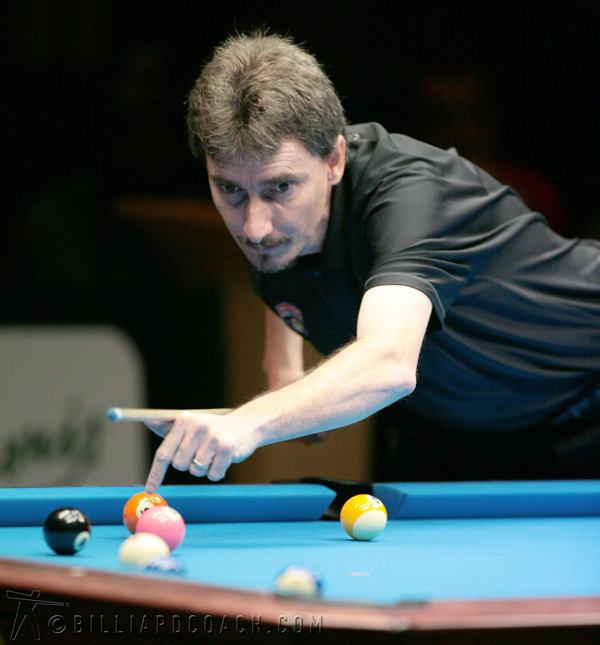 Ochoa’s superb play still prevailed over the defending champs one miss and Moore was forced to use his re-buy. 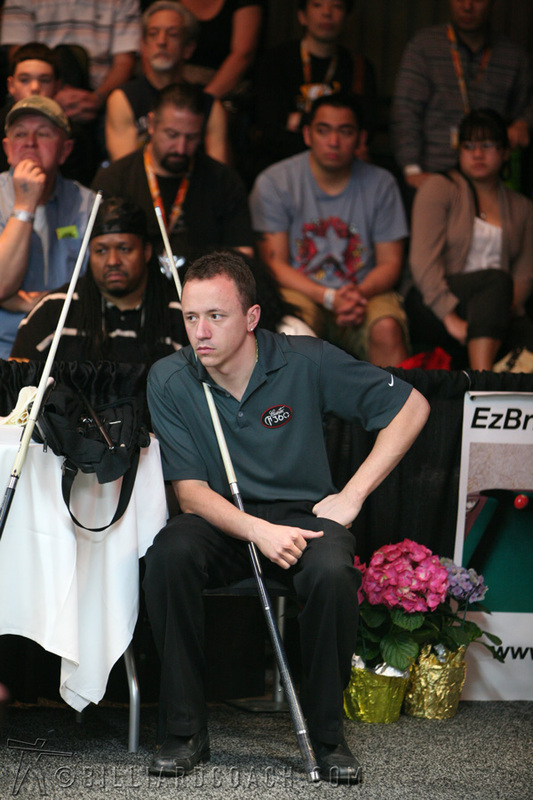 In round six Moore drew Jeremy “Double J” Jones, and dropped the first two games of the match. Moore gathered himself and ran two banks, then three in the next inning to stay alive. He still trailed two games to one. Game four took on a defensive flavor with Jones outlasting Moore’s tenacity for a repeat championship.